Mutagen Man, who plays a big role in the second season but will appear near the end of the first, had a distinctive look from the old ’80s cartoon and toy, and the TMNTproducers didn’t want to get too wacky with a new design. 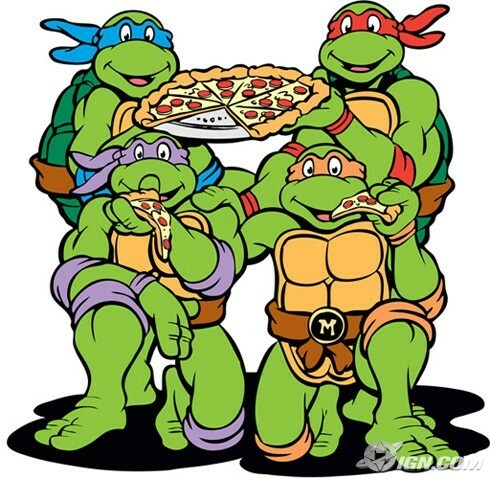 The second season of TMNT will feature a one-hour special with special cameos by the original voice actors from the 1987 cartoon in their old roles, including Cam Clarke (Leonardo), Townsend Coleman (Michelangelo), Barry Gordon (Donatello) and Paulsen (Raphael). It’ll be a story point, too, that brings classic and current Turtles together. “We all have a nostalgia for these characters in all their incarnations, and any time we can serve it up, we take the chance,” Nieli says. “The trick is finding a way to do it where it doesn’t feel wedged in, where you don’t even see it coming. “I really like doing that stuff because I do have respect for the old stuff,” he adds. “I try not to geek out but it’s more like you just feel some pride in what you’ve been able to be responsible for. Like, yep, there they are — Turtle reunion. It’s not as cool as a Zeppelin reunion, but being able to bring something together, I’m thrilled I get to do that.